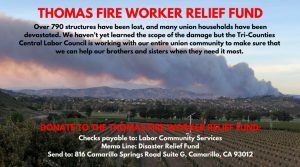 Donate to the THOMAS Fire Worker Relief Fund. 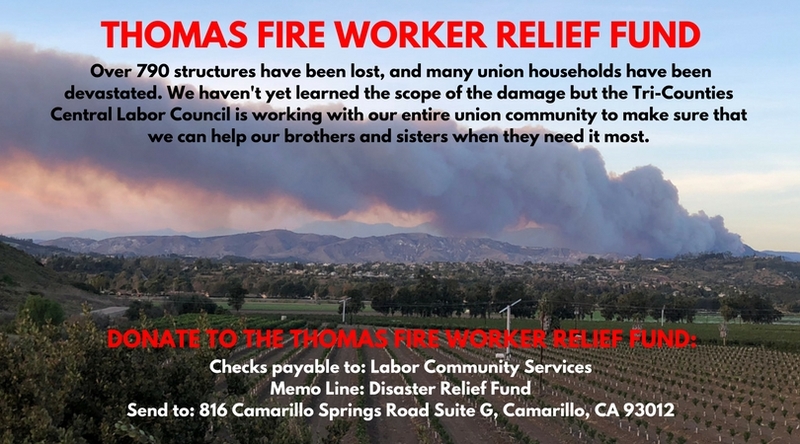 Admin costs are $0 and 100% of every penny collected will go directly to assist those union members who’ve lost homes to the Thomas Fire. The contributions are tax deductible.